A weekend chock-full of cargo bike themed activities in Nijmegen, where the annual International Cargo Bike Festival was held on 16 and 17 April last. 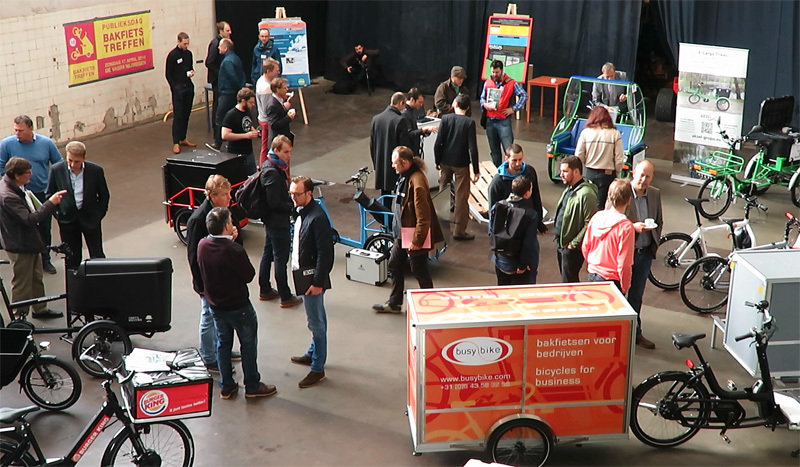 The 3rd international Cargo Bike Conference took place on Saturday, while Sunday was reserved for the 5th Cargo Bike Parade and Fair. “Cities worldwide are congested with cars, trucks and minivans that are blocking roads, polluting air and causing more and more frustration. This is progressively becoming worse due to rapid growth in internet sales and home deliveries. Keynote speaker MEP Michael Cramer of the Greens/EFA parliamentary group and Chair of the Committee on Transport and Tourism of the European Parliament. 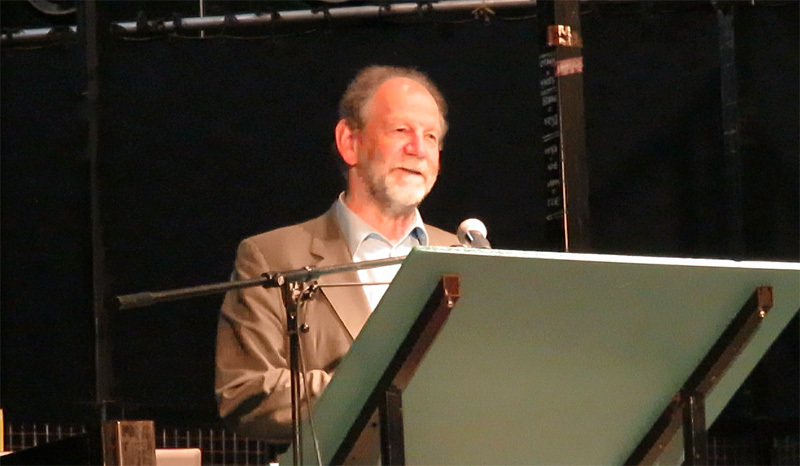 That Saturday morning, the conference had been opened by a member of the European Parliament, Michael Cramer (Greens/EFA parliamentary group), who also chairs the Committee on Transport and Tourism of the European Parliament. Michael Cramer agrees with Jos Sluijsmans that cargo bikes could reduce CO2 emissions, which he feels is very necessary. In his presentation Cramer explained that the transport sector has a bad record. Since 1990 the sector’s CO2-emissions have increased by 24%. Trucks contributed most to this increase. What makes it even worse: in all other sectors (such as industry and households) CO2-emissions have decreased in the same period. Keynote speaker Michael Cramer explained that an unfair competition in the transport sector is currently in the way of a change for the better. While airlines, merchant shipping and motorised road transport benefit from low taxes and sometimes even subsidies in fuel, transport by rail and eco-friendly transport are heavily taxed. To fundamentally change this, the cargo bike sector should lobby not only their local politicians, but also the members of the European Parliament. The European Parliament is ready to fund projects, but regional and local authorities must ask for these funds. Cramer urged the conference attendees to convince policy makers that cargo bikes are a good idea. They should use statistics about business opportunities, jobs, taxes, environment and health, because Cramer feels that this is the only way to repair the unbalance in the transport sector. Networking at the conference of the Cargo Bike Festival 2016. Connecting with the conventional couriers was a hot topic that was discussed in smaller groups and workshops. Key word: “standards”. Johan Erlandsson of Velove in Sweden strongly believes in the use of a standard type of bike containers to improve and increase cargo. Much like the global advent of sea containers revolutionised cargo transport, cargo bike containers could revolutionise cargo bike transport. 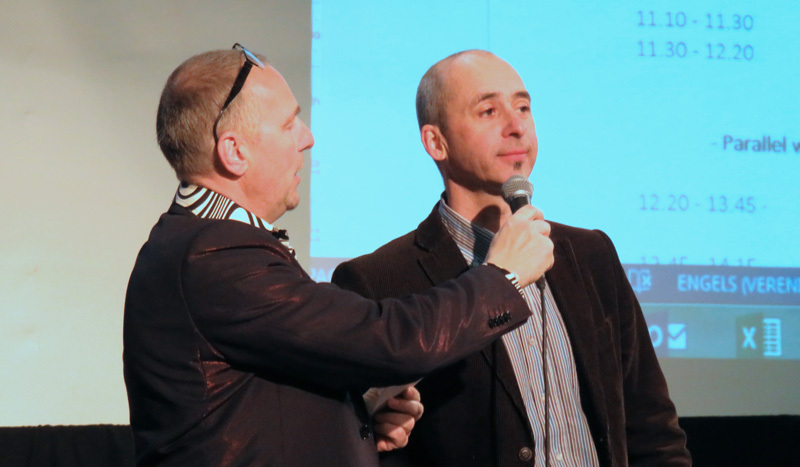 Other speakers explained how using the standard euro-pallet, also on cargo bikes, would be a good improvement. Traditional transporters are not willing to introduce a new standard for the cargo bike sector. They want to stay with existing standards that are used in the entire industry. The large dimensions of a euro-pallet (80x120cm) can be difficult on a cargo bike, also because the weight of a loaded euro-pallet can be very high. That choosing the euro-pallet could still be beneficial is shown by Belgian firm Bubble Post. They work with a custom-made cargo bike that carries a large container that can hold a euro-pallet. It is easy to slide the container on and off the bike and it is designed so that a forklift can carry it. Bubble Post was founded only a few years ago in 2013, but it already operates in 14 cities in Belgium and it is currently expanding its services to 5 cities in the Netherlands. 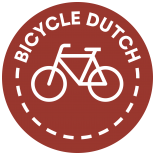 A different type of challenge was brought forward by Fietskoeriers.nl. They feel a need to increase the number of distribution hubs to also make deliveries possible outside the bigger cities. Fietskoeriers wants to achieve nationwide coverage so they can better compete with traditional couriers. In today’s market operating locally is no longer enough to be competitive. Video impression of the conference day. Sunday was a day of fun, starting with the traditional Cargo Bike Parade. 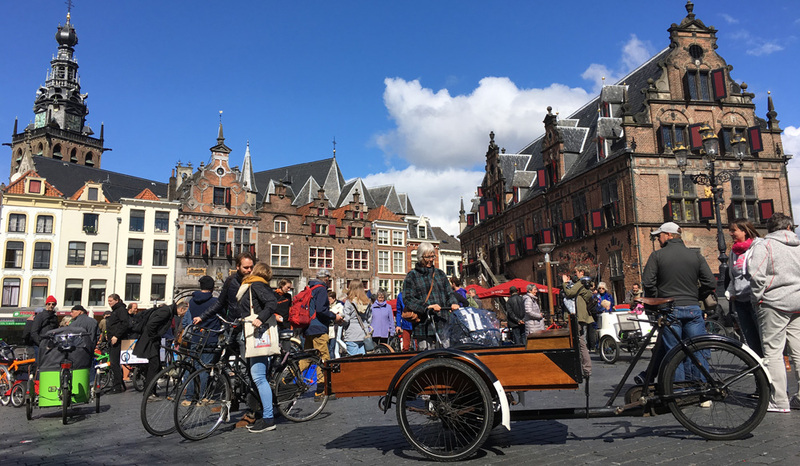 People gathered with a lot of cargo bikes and a variety of other human-powered vehicles on the market square (Grote Markt) in the historic city centre of Nijmegen. As the parade rolled past, I overheard an accidental spectator saying: “If you didn’t already know Nijmegen is a city of left-wing hippies, here’s further proof”. What that remark proved to me, however, is that some members of the general public still live in the petrol era and they really need to wake up quickly! The starting point of the Cargo Bike Parade at Grote Markt in Nijmegen. The tour was interrupted briefly for a bit of rain, but most of the time the weather was kind enough to the events. The parade was even more fun this year with live music played from bicycles by the band Orchestre Bicyclette from Utrecht. Video of the Cargo Bike Parade in Nijmegen. The parade ended at the venue of the Cargo Bike Fair, where a lot of people came to meet designers, producers and dealers who presented their cargo bikes and related products. This year there were participants from 20 countries. People tried Syrian dishes prepared on cargo bike stoves in the food court. Others enjoyed ice cream or coffee, also from cargo bikes. The official Dutch national slow biking competition took place as well and children enjoyed a show in the country’s only cargo bike cinema! The fair was also interrupted by some more rain, but there were enough tents for everybody to take cover and when the rain stopped soon enough, the festivities quickly continued. The organisation can look back at a very successful event. Video of the Cargo Bike Festival Fair. Cycling keeps me lean and I need to stay in shape, especially as I still like eating chocolate and ice-cream! I like to go mountain biking too. Running is also good; it’s what we were designed to do as humans, so it comes naturally. Here in Poland, the day when traffic is the most heavy, the most people are traveling by public transport and even more sidewalks are full of parked cars is probably 1st of November (and possibly some days before and after). Those days, additional public transport connections are created, routes for cars are changed so that traffic can move more smoothly, even organizers of Critical Mass rides try not to hinder car traffic too much. Why? Because it’s “All Saints” day and people travel to cemeteries in order to commemorate deceased members of their families (not to be confused with Halloween which is American invention). I’m talking about it now, because the Dutch commemorate victims of military conflicts on 4th of May. I don’t know if there is a custom of visiting cemeteries in the Netherlands, but I think it would be interesting to show people abroad that it’s possible to get there by bike (for many people it’s unthinkable). Was there no discussion of the problem of dozens of cargo bike parking outside kindergartens and cafes in the Jordaan, for example? This event is very inspiring. The ideas, products, companies and speeches all provide me with hope for the future. Oh. Goede april zeventwintig. Ah well. Lots to learn. I’m surprised that it wasn’t the subject of this week’s video. Maybe next week. Arg, it’s going to be a whole 167.75 hours until then. I guess I can rewatch this post until then (I hope I don’t make you feel pressured about the rate that you can pump these out). Did you hear about the SWOV’s recommendations around trucks limited to motorways, autowegen and the interchange ramps connecting to distribution centres? The Dutch will do anything on their bicycles. I saw a video of the Dutch army band on bicycles. A common theme in the comment section: “showoffs”. Mooi Koningsdag op april dertig, alle op de oranje, blauw, rood en wit. Ik zelfs weten nederlands Willhimus. Je fietser op de koningsdag evenement natuurlijk. Goede nederlands Mark? I am particularly proud of this paragraph because it’s the first I made mostly with memory and entirely by my knowledge of Dutch grammar. Were there plenty of stroopwafelen for everyone? I hope so. I made the waffle part at home without milk or eggs. I read in those SWOV sustainable safety documents that it would actually be a good thing if we had the large trucks, those over 7500 kg (or possibly 3500 kg) limited to motorways and autowegen, and at exits there was a distribution centre. All trucks I mean. I also found that mercedes tried out an automatic truck on the German autobahn without any wayside equipment, so that should prevent a lot of crashes. That should ensure that many crashes with lorries on urban streets are prevented, especially cycling and pedestrian crashes, including many deaths and injuries. Maybe in addition to the cargo hopper, bakfiets distribution centres would become a thing. The vans under 3500 kg take cargo just outside of the city centre, and bakfietsen deliver to the destinations. Could be used in residential streets as well perhaps. Healthier and much safer, and also more efficient. Yes, it looks a lot like Dutch, but beware: Kingsday is on April 27th since 3 years. Because it is now on his actual birthday, not like his mother who celebrated on her mother’s birthday. This entry was posted on 26 April 2016 by Bicycle Dutch in Original posts and tagged cargo bike, cargo bike festival, Nijmegen.